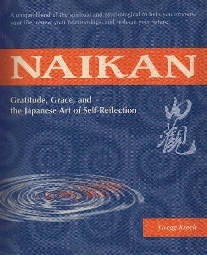 Naikan may be the best book I have ever read. It was full of insightfulness and it made me realize how much I am missing by not being aware of my surronding. This book is like a good movie were I can read it again and again and learn something new every time. I'm thankful my friend Carmela turned me on to it. It has teachings that will last a life time. Thanks Gregg.